Entry Fee $225 - includes lodging in motel rooms (double occupancy) at two overnight controls, dinner and breakfast provided at three overnight controls, and your dropbag transported to each overnight control in turn. 1000k Option Same qualification and within same rider limit as 1200k. Jersey/Vest Jerseys (short sleeve, sleeveless), vests (wind, thermal). 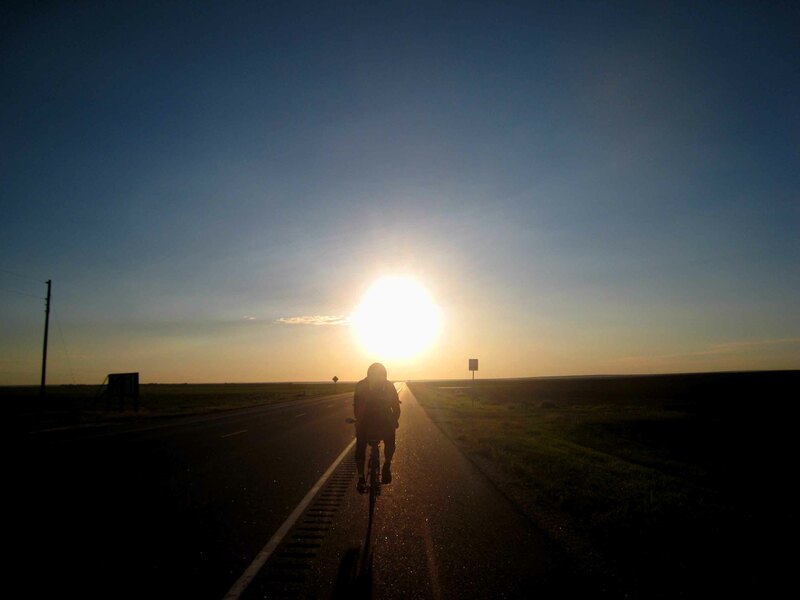 The route is an out-and-back — with a loop into Nebraska — from Boulder County, at the foot of the Colorado Front Range, across the Colorado eastern plains and into the western part of Kansas. Open, expansive terrain, with the climbing in 50 and 100 foot rollers. This, plus the likelihood of some wind, encourages riding together and the camaraderie this brings. Support, Logistics, and Checkpoints — Limited support is provided, including some roving course monitoring. Three bagdrop opportunities are offered (at two sites). While personal support is not encouraged, personal support vehicles are permitted on the route, and because there are few alternate roads. However, they are allowed to meet and help riders only at the official checkpoints, except in case of emergency. Checkpoints are at establishments along the route, not staffed by event officials, except for the bagdrop sites, which are staffed. Food and drink are provided at the bagdrop checkpoints (included in fee). Consult the rider info page for where services are located along the route, and their opening times. Some towns do not have all-night services, and Eastern Colorado is especially sparse, so factor this into your riding plans. Stages and Accommodation — As much of the route is sparsely populated, we recommend certain stage lengths, with limited night riding. The stages 251, 219, 180, and 103 miles, respectively. At these points, food and bagdrop are provided, and at the first two, lodging is provided - included in the fee. Those going for a faster time can make use of the bagdrops, but will need to ride longer stages. Lodging (noted on Rider Info) is also available in a number of the towns along the route in Kansas, and a few in Eastern Colorado. 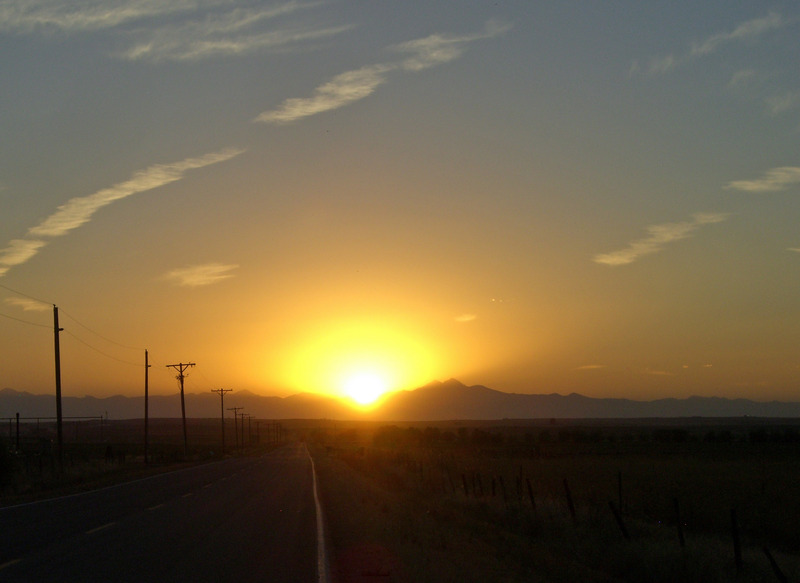 Weather — September traditionally offers tranquil weather in Colorado with mild temperatures. Danger of tornadoes, thunderstorms, lightning, hail, snow, and high (chinook) winds are low. Mean daily temperature range for the Front Range at this time are 48°F to 77°F (9°C to 25°C). However, it is common to encounter highs in the 90's as you descend into Kansas, and temps can dip into the upper 30's at night in Colorado. Terrain — The route is rolling to strongly rolling, characterized by wide expanses and areas with few trees. 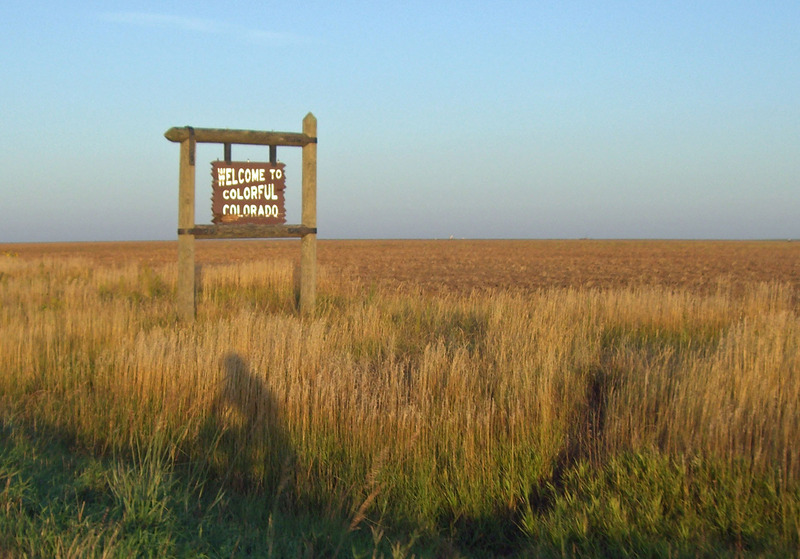 Agriculture, grazing land, and cactus-populated sandhills predominate in eastern Colorado, crops and grazing in Kansas. The final stage of the route offers a vista of the Rocky Mountain Front Range. Maximum altitude is 5400 ft., which should not greatly riders coming from lower elevations. Traffic — Traffic on most of the course is moderate to low. This country is sparsely populated, I-70 and I-76 drawing away the bulk of through traffic, leaving our route relatively quiet. There is some truck traffic between Norton and Oberlin, KS. Sending an application and entry fee gains you a spot on the Confirmed Rider List or - if the Confirmed List is full - on the Waiting List. This lets riders plan ahead before they've finished qualifying, while encouraging folks to free up their spots should their plans change. Priority - Registration is based on when your application and payment were received), except for first-day registrants (below). First Day Registrants - If more than 40 riders register and pay on the first day - which ends midnight Colorado Mountain Time (UTC -7 hours) of the day registration opens - we will use a lottery process to place those riders on Confirmed vs. Waiting lists. This is to alleviate stress about feeling you have to submit your application the moment registration opens. If you plan to register by paper and/or pay by check on the first day (not recommended), you must notify me by e-mail on that day (available to US residents only). Payment - You may pay online using PayPal (using your credit card or PayPal account). US registrants may alternatively pay by check (in US$) ... but online is strongly preferred; if you do plan to pay by check, you must send me an e-mail to that effect when registering. Qualification - You may apply before qualifying. If you have not yet qualified, note this on your application, and give us the details when you do complete qualifying. (Just send an e-mail with the details.) If you have not qualified by the qualification deadline and haven't made special arrangements with us, your spot will be freed. If the qualification deadline poses difficulties for you, contact us. · August 1 and after: 50% refund if your spot is filled (from waitlist); otherwise, no refund. Qualifying Events - Riders must complete, between July 1, 2016 and August 20, 2017, a Super-Randonneur series (200km, 300km, 400km, 600km brevets), or a 1000km or longer randonnée. Brevets do not need to be ridden in order of increasing distance. ACP or RUSA-sanctioned non-ACP brevets can be used. 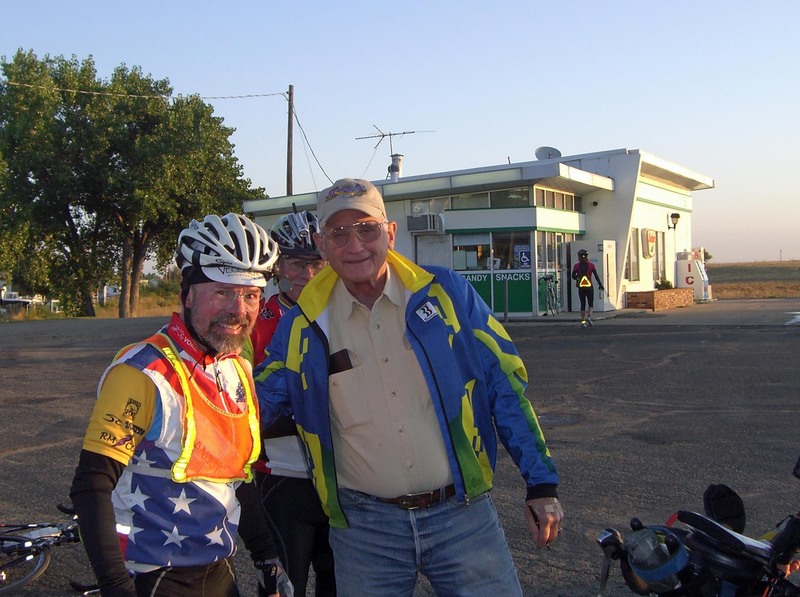 Substitutions - A longer-distance brevet can be substituted for a given distance requirement - for example, an ACP 300km brevet or a RUSA 250km brevet for the 200km requirement. A RUSA Permanent can be substituted for the 200km, 300km, or 400km requirement, with approval of the organizer (based on individual circumstances, such as whether a local qualifying series is available). You may apply to the organizer for other substitutions.